In Old Japan, people gathered to pass long, dark evenings testing one another's nerve with the game Hyakumonogatari Kaidankai. Taking turns sharing stories of the weird, the ghostly, and the supernatural and snuffing a candle after each tale, they would continue long into the night or until, in the growing darkness, someone reached the end of their nerves and called the game off. Candle Game™ updates this old tradition, providing rules for play as well as classic stories of the weird and ghostly for players to tell. As each candle goes out, the shadows and whatever they hide press nearer…do you dare listen to one more story? The unquiet dead. Restless or malevolent, reaching across the divide between life and whatever waits on the other side, ghosts hold a unique power to chill the spine and instill fear. Near the turn of the twentieth century, scholar and educator M.R. 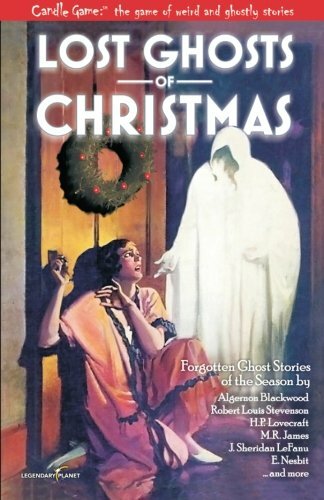 James took the Gothic ghost story and reinvented it for the upcoming millennium with dark, sinister tales of dread and shocking surprise whose quiet subtlety not only influenced horror writers from H.P. Lovecraft to Stephen King, but even a century after their first publication, still hold the power to transfix, unsettle, and terrify. 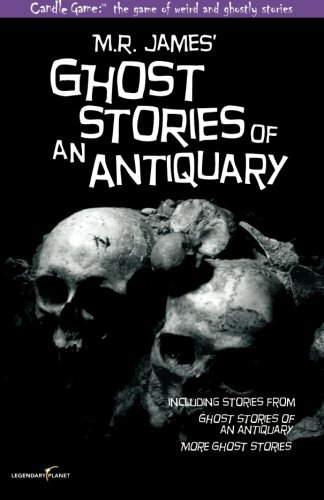 Candle Game:™ Ghost Stories of an Antiquary contains complete rules for play and features tales from the legendary M.R. James, including the chilling classics “Casting the Runes,” “The Mezzotint,” and “ ‘Oh, Whistle and I’ll Come to You My Lad’ .” Included as part of the game, these eerie stories can also be read on their own, but there’s one bit of advice for a lone reader embarking on the ominous paths these disquieting tales lead through: don’t read them before bed. Madness and death have forever haunted the dark corners of the human experience, those places of death and decay where we all fear most to gaze too long. And it was in those very dark places Edgar Allan Poe peered and beckoned readers to join him. With a poet’s gift for words, a philosopher’s embrace of ambiguity, and a graverobber’s eye for the gruesome, Poe dissected the gothic fiction that had been mushrooming for decades and stitched it back together into something similar but more…disturbing. In classical China, ghosts were considered as real as the trees or hills or wind. Decisions concerning everything from construction of homes and buildings to the course of the roads winding through the countryside were made considering the impact that could result from unsettling or angering the spirits. To avoid the risks of drawing the attention of the otherworldly, the people carefully maintained customs and shared stories of the supernatural with one another as reminders...and warnings. Candle Game:TM Strange Tales from a Chinese Studio contains complete rules for play and features tales such as Pu Songling’s classics “The Painted Skin,” translated by Herbert Giles, and “Deceiving Shadows,” translated by George Soulié, as well as folktales including “The Story of Ming-Y” from Lafcadio Hearn. Included as part of the game, these eerie stories can also be read on their own. 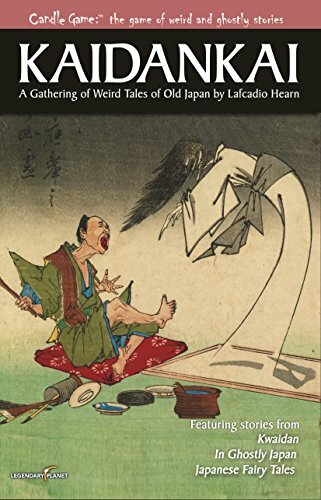 But when exploring this strange and unsettling supernatural world, keep one thing in mind: These cautionary tales were recounted in China for centuries—what happenings made ongoing warnings so necessary?